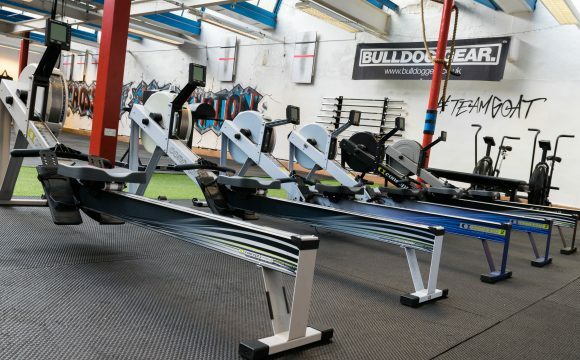 VOTED ONE OF BRITAIN'S BEST CROSSFIT BOXES BY WOMEN'S HEALTH MAGAZINE! 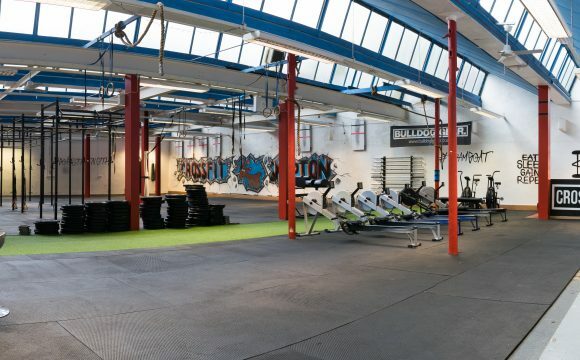 CrossFit Skipton is the area’s premier strength and conditioning facility. 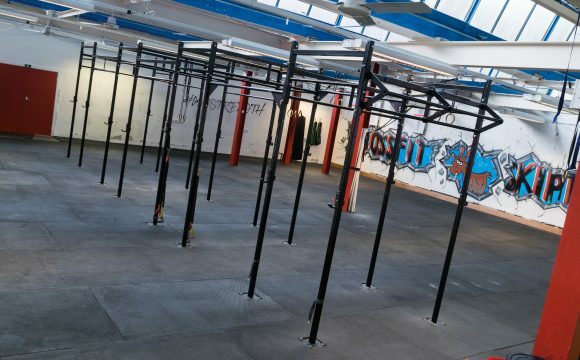 Situated in Embsay, just 1 mile from Skipton High Street CrossFit Skipton boasts one of the largest floor spaces amongst CrossFit gyms in the UK at 7500sqf. 1500sqft dedicated Personal Training studio hosting the areas best PT’s for 1 to 1 and small group coaching sessions. ‘Chill out’ area with bean bags, sofas and coffee making facilities. Strongman kit including atlas stones, farmers handles, axle bars and more! 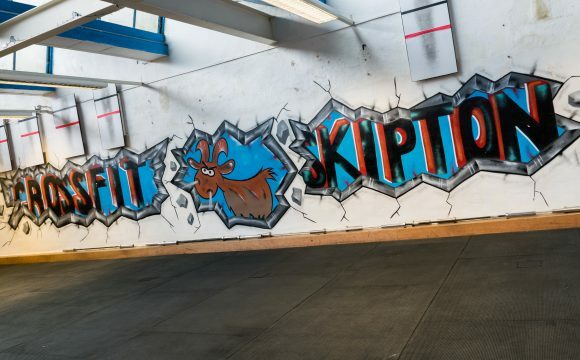 CrossFit Skipton is run by CrossFitters, for CrossFitters. We, along with the help of our awesome members, have created a training environment which is fabulously unique. The atmosphere in the gym is light hearted, yet as soon as the WOD starts it’s down to business. Once finished, classes generally end with high fives all round, before members move on to the next part of their day with a smile on their face. We have a simple approach to our training – Train Hard, Have Fun! Both parts equally important in ensuring our members stay motivated to achieve their goals. Our CrossFit programme, backed by years of experience and training, is geared towards making some serious progress but keeping the training enjoyable and engaging for all involved. All of our coaches have been hand-picked and have been with us, as members, since the start. They were selected based on their personalities, their ability to communicate to diverse groups, and their passion for helping our members improve their quality of life through CrossFit. Chris is a CrossFit level 1 trainer, Sport and Exercise Science graduate, Personal Trainer and Weightlifting Coach. He has extensive experience in the Fitness Industry having worked in a variety of settings for over 10 years. Chris found CrossFit in 2010 and has been a devoted practitioner and coach ever since. He opened CrossFit Skipton in 2014 as he passionately believes in the life-changing benefits of functional fitness. His goal as a fitness coach is to inspire individuals to make long-term changes to their lifestyles, and he has found that CrossFit's scaleable intensity and commitment to functional movement is the perfect programme for individuals of all ages and abilities to do that. Chris is a firm believer in practising what you preach, and trains CrossFit with aspirations of competing at the highest level. He has competed in various team and individual CrossFit competitions for a number of years and uses this experience to coach all athletes, from beginners to competitors. Jeff has recently retired from the fire service after serving 30 years. He has always had a keen interest in health and fitness, making him one of the oldest front line fire fighters in Yorkshire prior to his retirement. Jeff has got a list of achievements to be proud of, but he is most proud of his son Chris, with whom he has set up CrossFit Skipton. Together Chris and Jeff can share their passion for CrossFit and fitness with the community of Skipton. Ben is dedicated to sport and fitness. He has fulfilled roles in a number of sports, most notably Rugby League. Since the age of 16 Ben has played semi-professionally for Keighley Cougars and has gone on to win many achievements as a result of being a key member of the first team. Ben has pursued a career in the fitness industry and has gained a level 2 and 3 qualification in fitness instructing and personal training. Since finishing his rugby career, Ben has become heavily involved in CrossFit and is keen to share his knowledge and help create a fitter community in Skipton through his coaching. Ruth is a Crossfit Level 1 Trainer, Crossfit Kids Trainer, British Weightlifting Level 1 Coach and Strength and Conditioning Level 1 Trainer. Ruth has been with Crossfit Skipton since the beginning. First as a customer and now as a Coach, she is incredibly passionate about Crossfit and she loves helping people, like you, along on their fitness journey. Ruth loves the impact that Crossfit can have on an individual and its power to make a real positive difference in people’s lives, she will help you develop your training technique to get amazing results. Hugh has been coaching for around 2 and a half years and is an absolute geek when it comes to technique and movement. He is currently studying for a degree in Physiotherapy at the University of Bradford. As a youngster, Hugh competed in several sports at a high level including football, basketball, ice hockey and swimming. He currently specialises in Olympic Weightlifting and is a British Weightlifting Level 1 Coach. Hugh’s aim is to get people moving well and increasing their fitness. His long-term plan is to use Crossfit and fitness to combat disease, illness and injury. Finally, and perhaps most importantly, Hugh is very, very tall. Kirsty found the world of CrossFit three years ago and since her first session hasn't looked back. She loves how CrossFit creates a community and an environment that's let everyone get involved no matter what fitness level or ability they have. Kirsty loves competing in CrossFit team events all over the country and last year became a qualified CrossFit Level 1 Trainer. To further her career in the fitness industry she is currently studying for her REPs Level 3 Personal Training qualification. Kirsty also has a passion for the outdoors which lead to her graduating with a BA (Hons) in Outdoor Leadership and becoming a qualified Mountain Leader, Climbing and Ski Instructor. This has taken her on adventures all over the world and during the summer she leads expeditions overseas, taking students off the beaten track trekking and working on projects within the local community.